This isn’t an Emeril recipe, but since I can’t provide you with all of his recipes, I wanted to give you a recipe. Plus this is a great warm weather recipe, and (sniff sniff) warm weather won’t be around much longer. If I was a vegetarian, I would eat this every day. I might still eat it every day. It is so tasty! 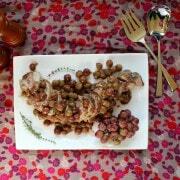 Perfect meal or side dish. Really, you’ve gotta try this one. I don’t really have too much else to say about it. Aren’t those lentils pretty? I want to decorate my house with them. 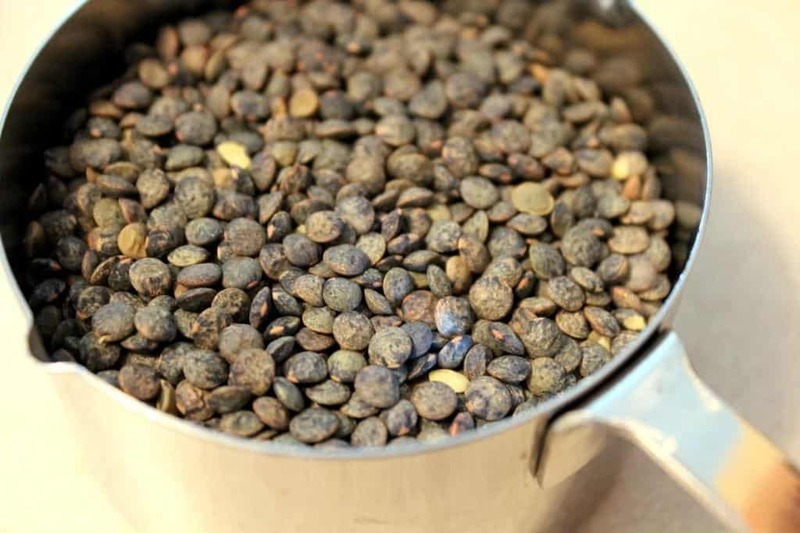 You want to go with French or brown lentils for this recipe because they will hold their shape when cooked better than other types of lentils. 1. Bring 2.5 cups of water to a boil in a small saucepan. Add lentils, reduce to a simmer, cover and cook for 30 minutes or until lentils are tender. Drain and rinse under cold water. 2. Meanwhile, whisk together vinegar, lemon juice, honey, and thyme. Whisk in olive oil. 3. 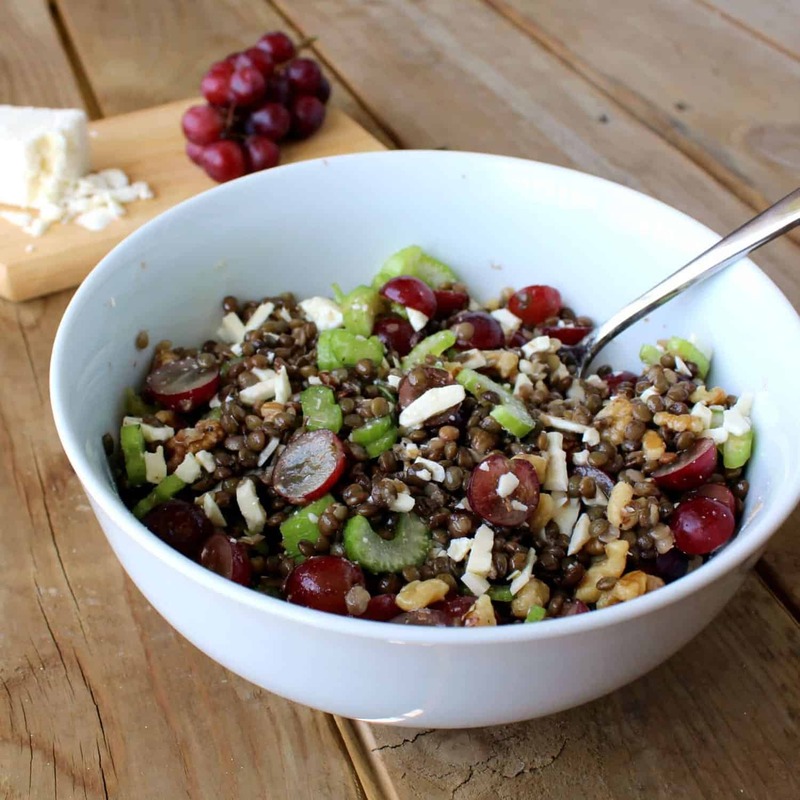 In large bowl, mix together lentils, toasted walnuts, grapes, celery, feta and dressing. 4. Season with salt and pepper to taste and enjoy! This keeps well in the fridge for 2-3 days. Verdict: Loved this! The dressing was light so all the flavors came through really well. Make sure you toast your walnuts, it makes all the difference in the world! Husband’s take: Much to my surprise, he really liked this! I didn’t think it would be his cup of tea. He liked it and appreciated the fact that the lentils are high in protein. Changes I would make: None. Feel free to use fresh thyme if you have it, I just didn’t have any. If you use fresh, add a little extra in. 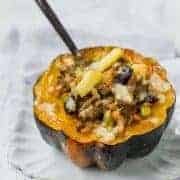 Do you have the nutritional values for this recipe? No, I’m sorry–I do not calculate nutritional values for my recipes. There are lots of websites that could probably calculate it for you if you type in the recipe. What a refreshing combination of ingredients. Your new blog style looks quite lovely! Admiring the dedication you put into your website and detailed information you offer. It’s awesome to come across a blog every once in a while that isn’t the same unwanted rehashed information. Wonderful read! I’ve saved your site and I’m adding your RSS feeds to my Google account. This salad look great! I love the addition of sweet grapes. I think Artie might have a hard time eating it though. He would probably be searching for the meat…haha. I saw this in Everyday Food and wanted to make it–I am loving lentils lately! Glad to hear it was good, I’ll have to make soon! Beautiful salad, Rachel! Recipe or not, we still love you! What a pretty salad! I like your comment about using quinoa. That sounds like something I’d like. this sounds so good! i love grapes + feta together. Yum, I love lentils and am so happy to have another great use for them! 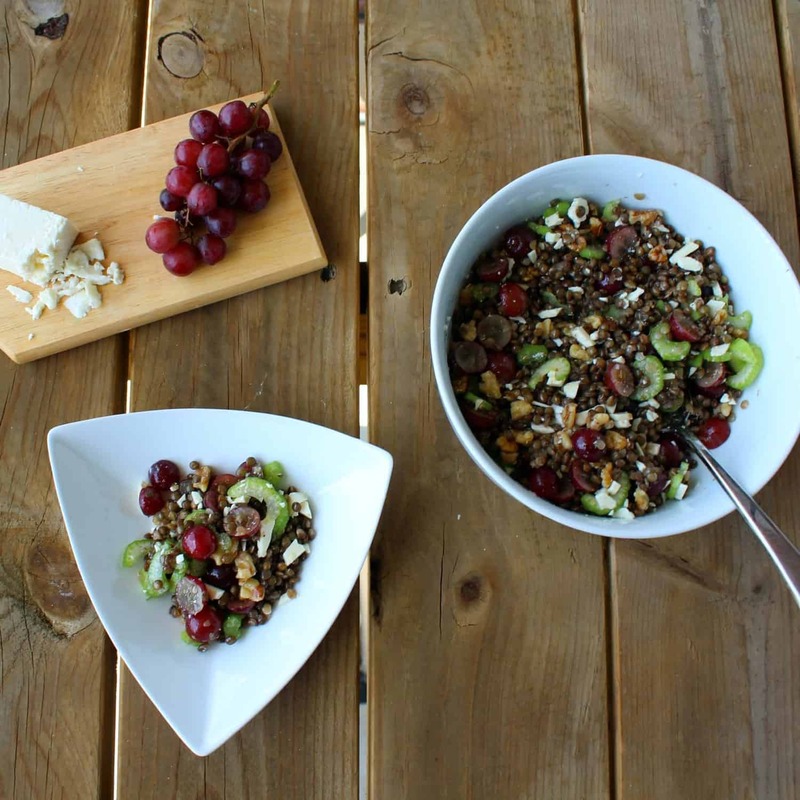 This salad looks perfect – love the salty-sweet element that the grapes and feta bring. Beautiful pictures! Looks very autumn-like. 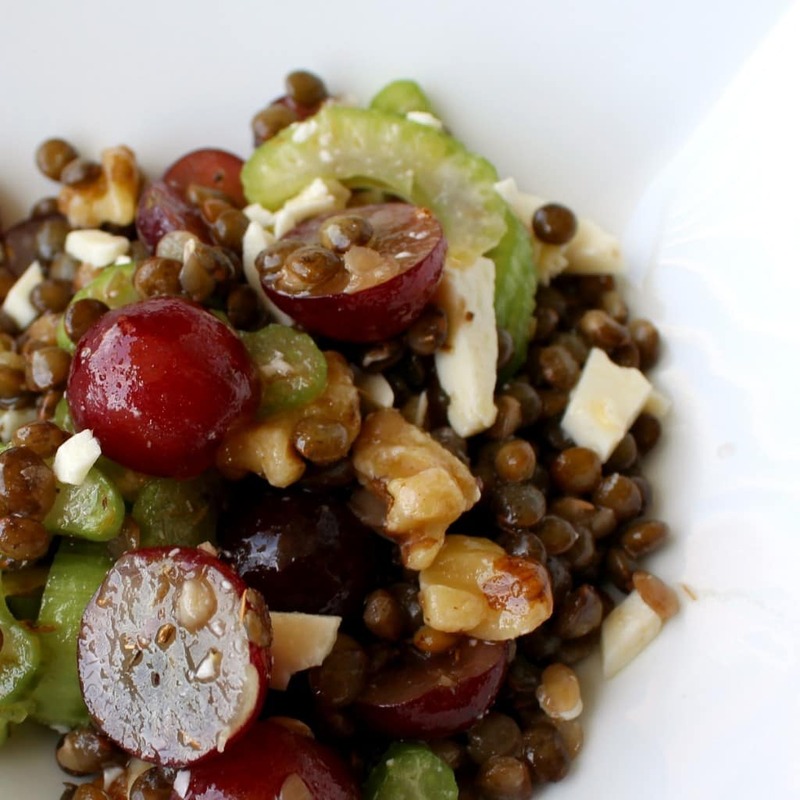 I love lentils and will definitely be trying this! Veggie Table’s take: DELICIOUS!!! It’s such a yummy looking salad and I love that it has a simple ingredient list! Adding this to my “must make immediately” list!!! Thanks for sharing! Oh, yum yum. I fell in love with lentils when I lived in Spain and my “madre” gave me lentil soup at least once a week. I’ve never had them in a salad, though! 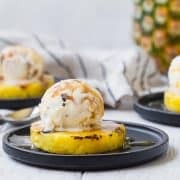 This looks really easy and refreshing! This is right up my alley. 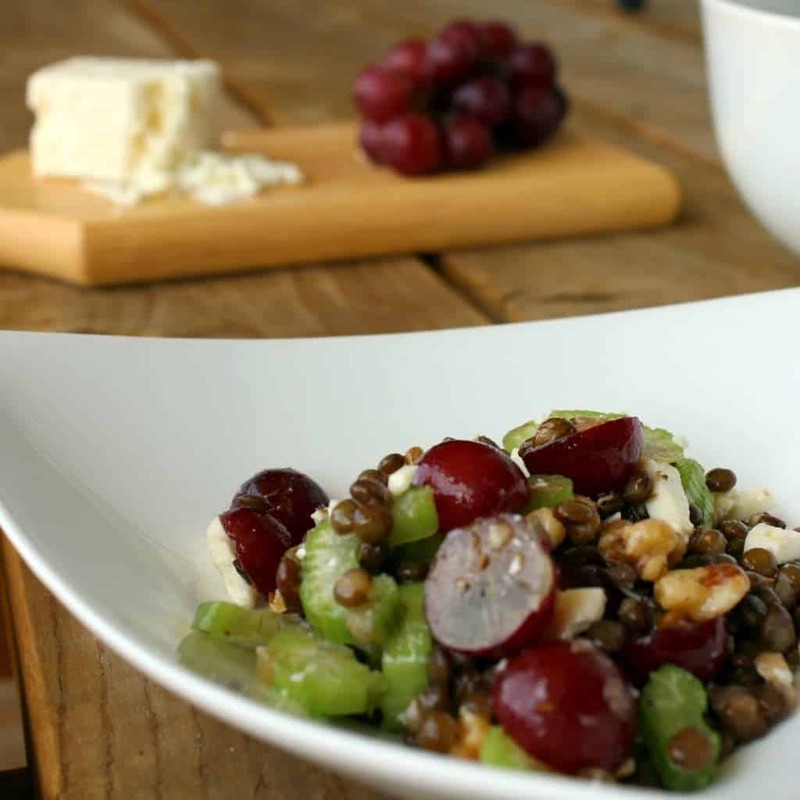 What could be more delicious (and healthy) than lentils, grapes and feta! Thanks. Looks gorgeous, but I am not a fan of whole lentils; prefer then in soups and other. But that doesn’t mean this is less gorgeous! Nelly-this would probably be good with barley, quinoa, or even couscous instead of lentils.